Back in the late 1990s, semi-scale couplers were being released by a few manufacturers. Kadee had been a long-time leader in this area. They introduced their #58 coupler which was smaller than their traditional #5 coupler, but still a bit larger than the prototype hardware. I bought several sets and installed them on quite a few freight cars. 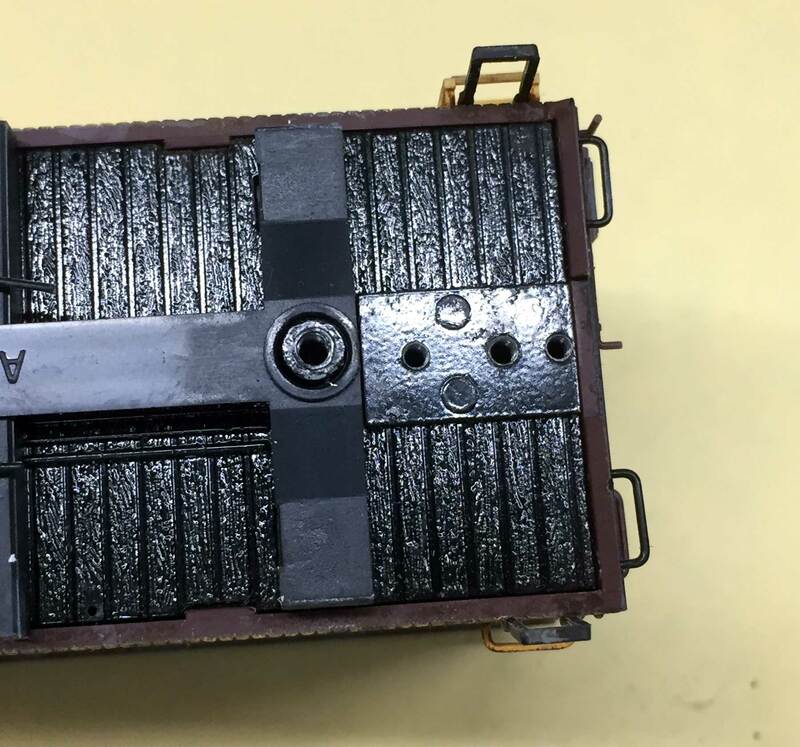 At about the same time, Sergent Engineering released a true, scale-size working coupler but it was not compatible with the Kadee couplers. Most of my equipment at that time was in use on a club layout, so compatibility was an issue. Then I noticed Accurail had a scale-size coupler available, their Proto:HO coupler. It was designed to reflect the Type E coupler design and it had a coupler box that looked like a prototype gearbox. I bought a few pair and liked how they looked and functioned. As I became focused on modeling 1926, these became my coupler of choice. Here are the basics. The couplers are a split shank style with a pivot point closer to the freight car end sill. Two screws are provided to mount the assembly to the freight car. Trip pins for magnetic uncoupling are also provided but I chose not to install these. The drill bit and drill template are separate but important for many installations. Parts are removed from the sprue with a little extra that is sliced away with a sharp hobby knife. The toothpick in the image above is pointing to the excess. The dental probe points to a small sliver of flash that needs to be removed so these work properly. A slice and a couple of scrapes removes the material easily. I bought my Accurail Proto:HO couplers in bulk nearly 15 years ago, so newer production may not have this small bit of flash to remove. 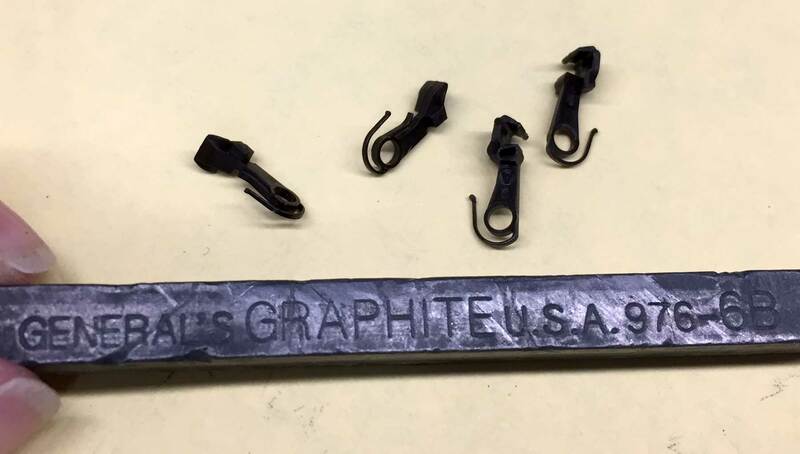 After the small bits are removed, a graphite stick is used to lubricate the interfacing parts. A simple pass with the graphite stick on each side of the coupler shanks near the pivot point does the job. The couplers are assembled in the gearbox and ready to mount on a freight car. Many of the recent Accurail freight car models have an extra set of holes to install these couplers. 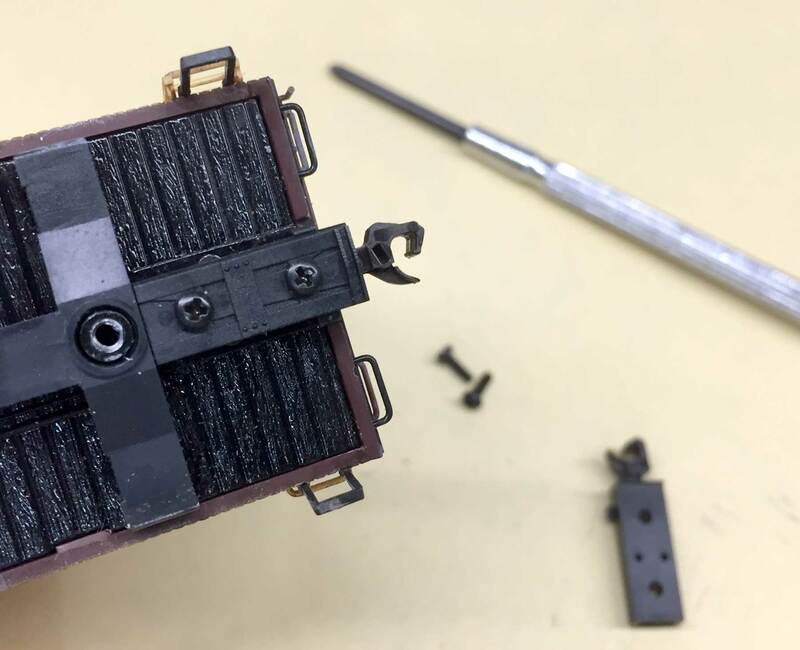 Just the week, I discovered some Atlas models have these mounting holes, too! A few of the Atlas 36-foot refrigerator cars are in my freight car fleet, so upgrading them with the Proto:HO couplers was easy. The reefer underframes are cast metal but the holes are tapped and ready for the small 0-80 screws. In just a few minutes, two out of three reefers had new couplers installed. Most of my 1926 freight car fleet is equipped with the Proto:HO couplers. 10-15 car freight car strings are pushed and pulled all through a typical operating session with minimal problems. These couplers mate well with the Kadee #58 couplers that are in use on several freight cars. There were some problems with compatibility, but this was between two types of Kadee couplers, the #58 semi-scale couplers and older 35 couplers. The older Kadee #5 couplers were replaced, or those freight cars were retired, recently which ended those difficulties. As a prototype modeler, I try to build models to reflect the real thing. Couplers are part of the model and deserve attention. The Sergent Engineering couplers are really nice and would probably be my standard if I were starting over. The Accurail Proto:HO couplers offer scale size, narrow gearbox, a closer coupling between cars, and less play when coupled together. 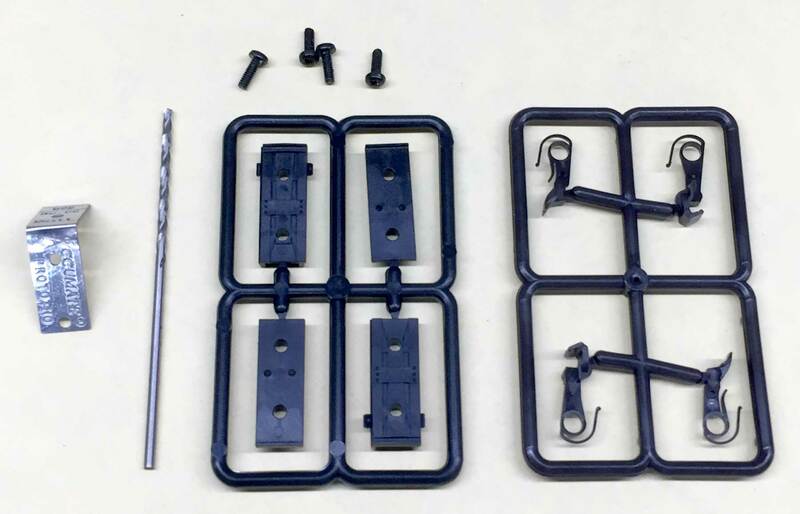 Some installations are challenging, but they make the completed resin freight car kits look even better. Does the closer coupling distance between cars materially negatively impact their ability to negotiate smaller radius curves? Say an 18″ radius curve? Thanks – this is an interesting report. I tried the larger style Accumate couplers when they were fairly new in the market, and was disappointed because they tended to ‘split’ open when on cars in a long cut that was being shoved. On my layouts (I’ve had a couple), I have often had to shove cuts of cars longer than 15 cars, so I’m wondering if the problems I encountered were due to the larger Accumate coupler or the longer cuts being shoved. I would be interested if you could try shoving more than 15 cars and report on the results. I have had issues with these couplers on long and heavy trains on a club layout, not as much on my smaller home layout. They tend to flex under tension, it seems. They are economical, though, and do look good. I have not had any compatibility issues on my home road, where there is much switching action. Nice fleet of cars…. 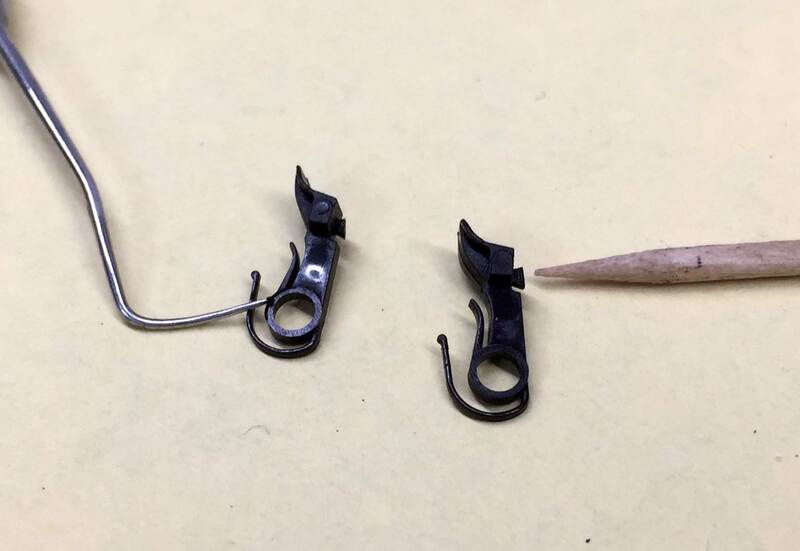 How easily do they uncouple with a pick (bamboo skewer, little screwdriver, etc.)? Also, can you share a picture of the underside of one of the Atlas 36′ reefers? Try as I might, I have yet to locate one online (an image, that is) and I have no LHS close by to look in person. I’m guessing they come with a K brake, but I’d like to know for sure. Like you I love the Accumate coupler boxes. Sergent makes a coupler for them. 0-80 flat head screws hold well and look better than those supplied. While the Accumate Proto couplers look good, I find the coupling/uncoupling of these couplers less than satisfactory. Coupling forces seem high and neither magnetic nor pick uncoupling is always perfect. I’ll stick to my 1960’s KaDee711 style – ugly and hard to install but excellent operation. Art: With the close coupling of my 711’s 22 inches is minimum radius for maintaining car separation. At 18 inch radius corners will touch. Great article. I am torn between these and the Sergent couplers. Starting over in the hobby and with no club any where within 100 miles compatibility with other brands is not much of an issue. I bought 2 pr of KD 58’s when they came out – they worked fine. So I bought 100 pair. Then I discovered Accuscale. These daus, if the kit has a built-in KD 58 coupler box (like the Westerfield S-40-1 stock car) I use the KD 58; if not I use the Accuscale. They work well together, take 18″ radius curve and near 5% grades (a mis-measure), do swizzle-stick uncoupling with a variety of sticks. I think the Accuscale look a tad better than the KD. I am glad I made the switch – but I still have a bunch of KD 58s after converting about 98 cars and 12 locomotives to scale couplers. 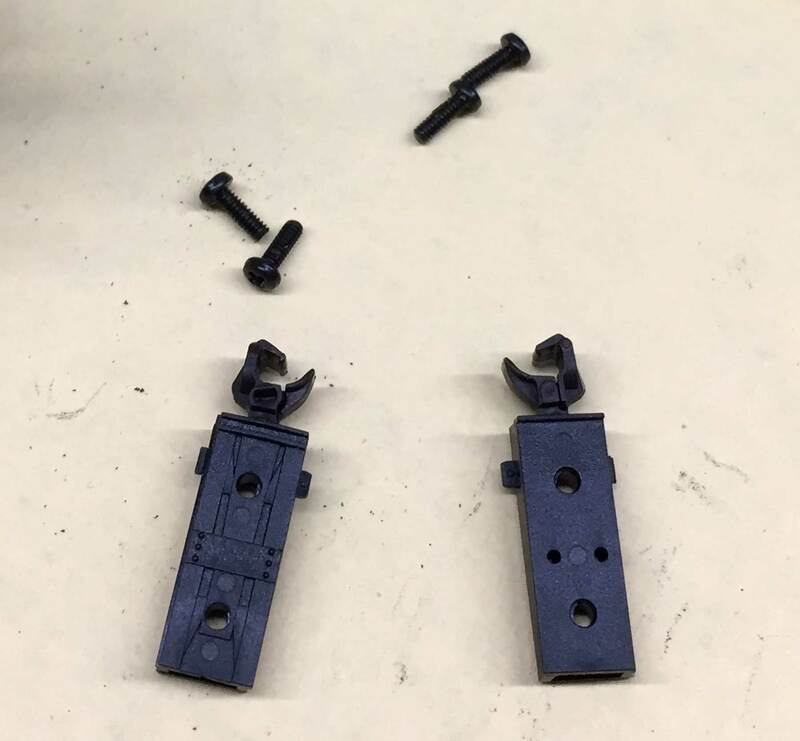 After reading your Blog about these Proto:HO couplers I installed a pair in one of the new Accurail box cars and I have to say I’m very impressed. They uncouple easily with their pick device and they look great. The only problem is that there now seems to be a shortage. Thanks for posting this. Thanks for the comment, Nevin! I’ve been in touch with Dennis Storzek at Accurail about the Proto:HO couplers. More are coming soon. He wants to finish work on an upcoming model before running the molds for more Proto:HO couplers. I’m glad demand is growing for these fine couplers! – Eric h.